We haven't had any posts in here for a while so here's a few to get us started again. Truth is again more fantastic than fantasy. 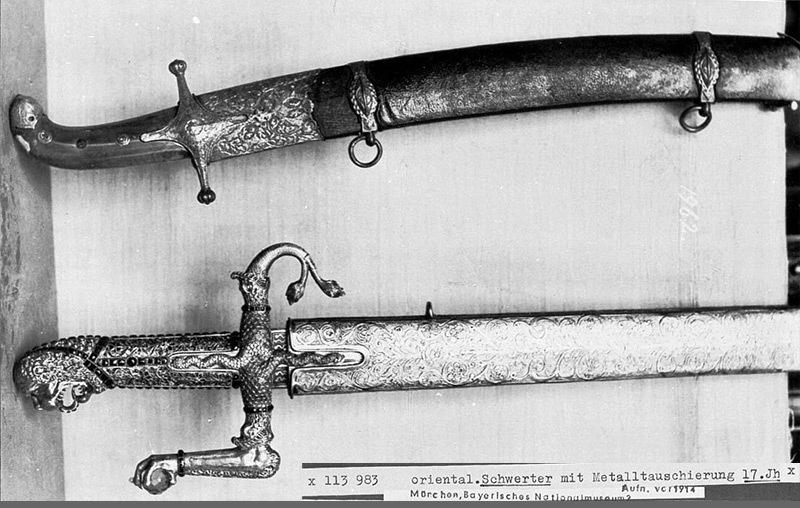 Nathan - I finally found the pic with Maximilian I's messer and longsword . As someone who has played computer Fantasy Role playing games and posted on RPG forums I couldn't agree more. Many fantasy games designers and players idea of a beautiful sword are grotesque and totally impractical "Anime" style swords. 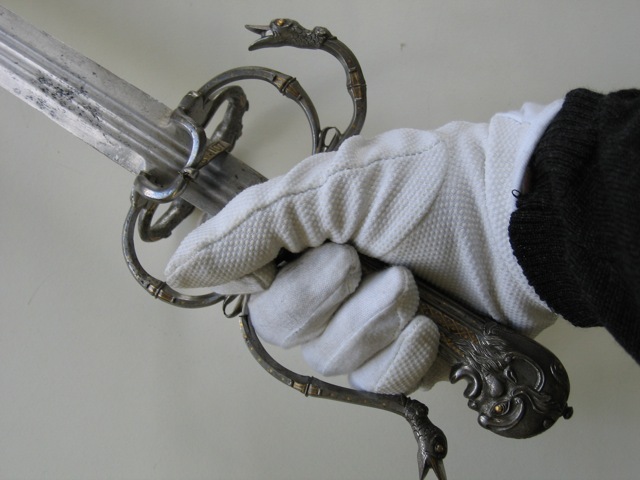 There are a lot of exceptions to this of course and I have myself tried to influence people into admiring more elegant and simple designs such as 15th century European longswords, Persian shamshirs and Turkish yataghans, with decidedly mixed results. 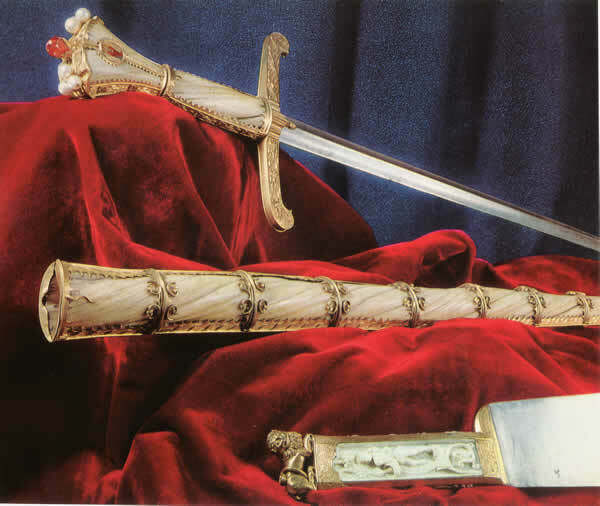 My own contribution to the pictures are these two swords from the "Blessed Swords" collection in the Topkapi Museum in Istanbul. 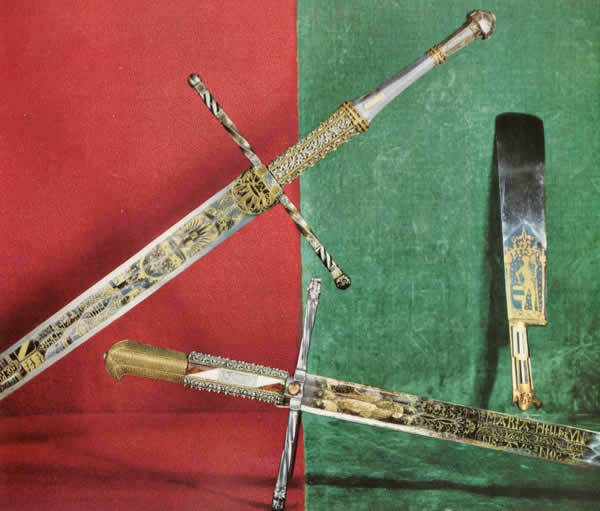 These are swords attributed to the Prophet Muhammad and his companions while some of these are undoubtedly early Arab swords, others seem to be 15th century century Iranian swords. These two belong to the latter category. 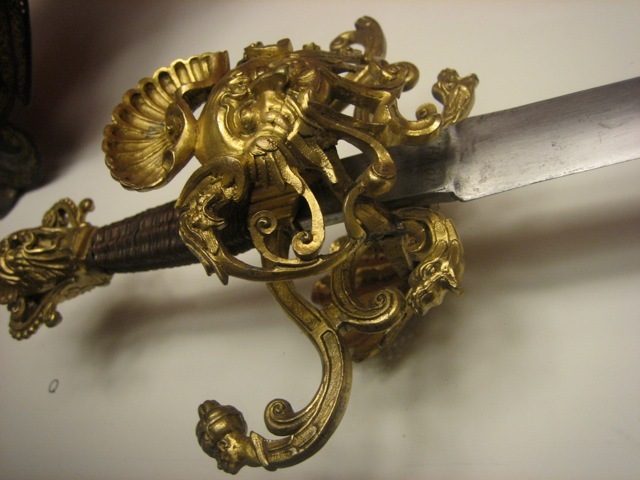 Because of the Blessed Swords status as "sacred relics", many have been elaborately ornamented and decorated in later periods which makes dating them even more difficult. That rapier is fantastic, Craig, thanks for sharing that! I love the nod to classical Greco-Roman art that was so prevalent in the Italian Renaissance. If you haven't done so recently, I highly recommend you and anyone else who's interested to have a look at some of the items listed in the various auction houses linked to myArmoury. 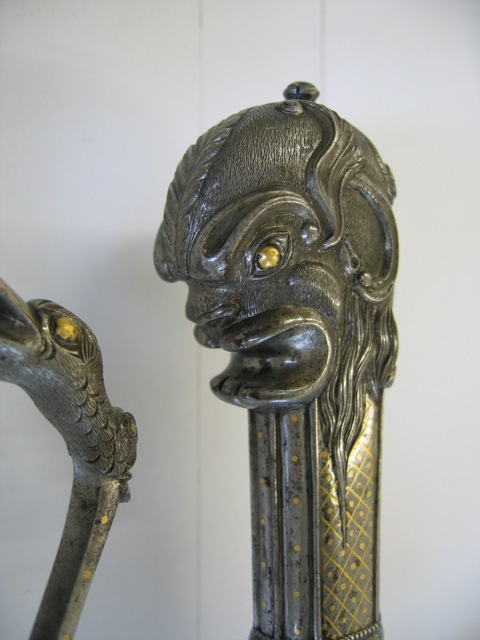 There's plenty of other decorative historical weapons that one could include for this thread. Craig, those are some really awesome swords. The one I find really interesting and quite curious is the falchion with the African heads on the pommel and crossguard. I mean, thinking in terms of the position of most Europeans toward Africa at the time, it makes me wonder why you would model a sword on a caricatured African's head. One thing I've noticed about all of these ornate swords is that the basic shape of the blade is simplistic in comparison to many of the fantasy blades I've seen (with jagged serrations, holes, and divots etc.) so in that respect, I wonder if there are any historical examples of odd-shaped blades. I doubt there would be, but hey, it's worth asking. Entering this discussion at a very late date, it seems to me that a dividing line can be drawn somewhere around 1400 to 1450; swords after this time are generally decorated (even models made for mass distribution to enlisted men tend to have some trim - eagle-head pommel, rope trim to the guard, and so on); and later swords often show decoration that alters the outline of the weapon. 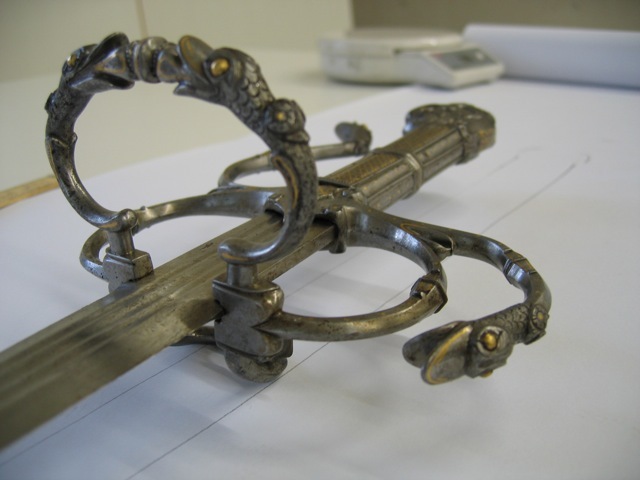 It is in the earlier period that most of the plain (and they can be very plain) war swords are seen - i.e. a spike hilt and disc pommel, and nothing else. 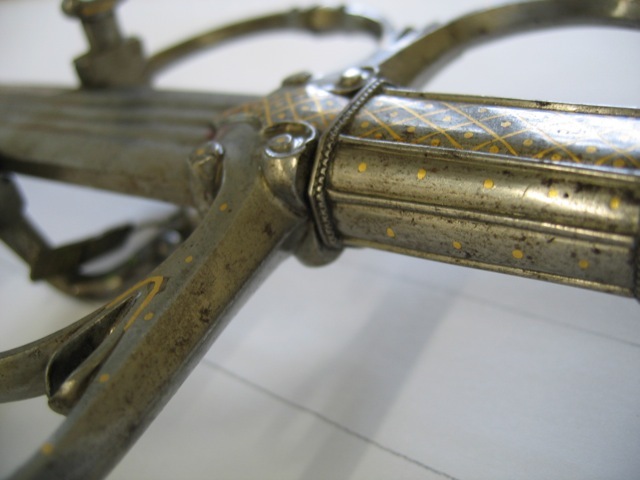 There are a small fraction of the swords of this period that are elaborately decorated - but the decoration is entirely on the surface. If these swords are back-lit, their silhouettes are identical to those of many of their plainer brethren. 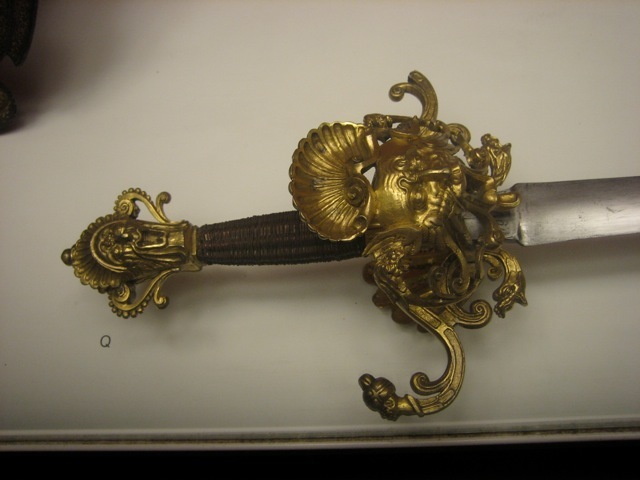 As a generalization, it seems the decorated swords of the earlier era belong to persons of very high status - princes and kings; whereas many of the Renaissance and later elaborate swords belong to persons of rank, but nothing like royalty. Another crazy, but real, sword. This one is from the Bayerisches Nationalmuseum, 17th century. A creature holding a gem in its hand? Really? Yes. Really. I have a soft spot for this one and know I need to make something like it one fine day. This is from a time period when fantasy (or mythology and symbols) was a respected field of learning. Displaying the fantastic was not so much an expression of escapism as a way to show an understanding of the mysteries of the world. Another fantastic sword of truly incredible workmanship. I am in awe of this piece. Cut steel and gold inlay. The blade is a no nonsense fighting blade and the balance is that of a serious weapon. I love that piece as well, Peter. Thank you for taking the time to post the photos. I've been told on numerous occasions by those handling such weapons that many of these are made with a great attention to the dynamics and balance so that they are very clearly intended to be used. I think you summed it up very nicely when you mentioned that the topic of "fantasy" was not really intended as escapism. Very concise and accurate summary there. But will the quillon so mounted on the blade, resonates to the vibrations? Of course when the blade impacts. 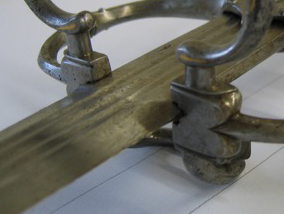 Serves to stiffen the blade? I refer to the details below. 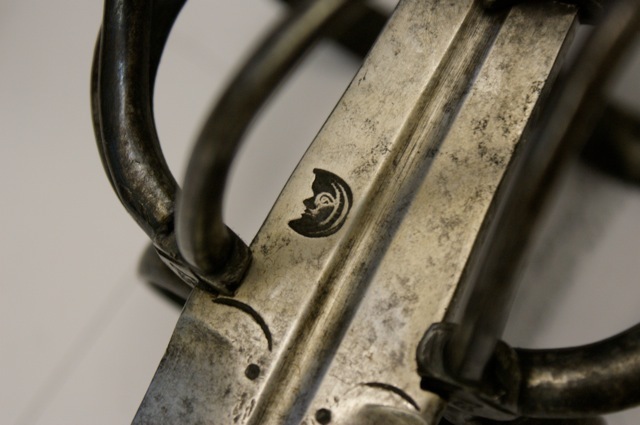 This is a detail that many swords share: the arms of the guard grabs on to the sides of the ricasso. It was not to stiffen the blade, I think, but serves to make the hilt more secure. In some cases (like the embellished sword I posted) the arms are not very hefty and may be well served by extra support. It is not a universal feature. Not all swords are fitted like this. Especially in collections today when old blades and old hilts have been mixed and matched the fit is as a norm not at all precise. 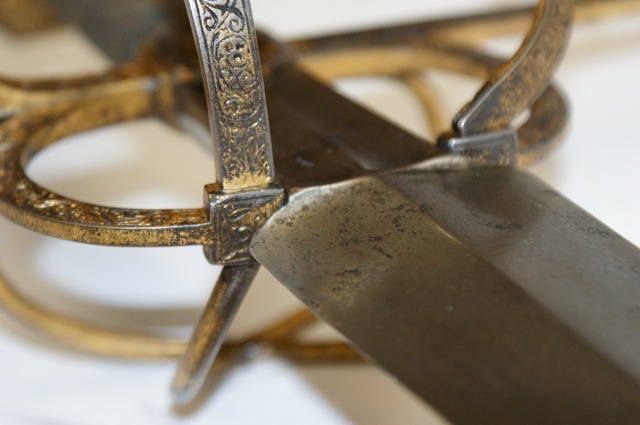 I have a feeling it was a bit more common originally, when the cutler fitted a hilt to an original blade or tweaked a hilt for better fit in a remounting. Thanks for the comprehensive response, is greatly appreciated. thanks for posting these photos, are not common, at least for me. I know this is completely off topic, but yesterday I saw Arn, the last knight (I see very little TV, almost never) I was fascinated by that sword. Wow. Is the color on that blade for real? Or an artifact of the photography? I don't recall anything about any color/effects on the blade, so that's probably just photo. Unfortunately, I can't find detailed photos of the blade, guess that museum tries to enforce people to come and see themselves. Heh, I don't think anyone can really argue as to whether or not real swords were ever ornamented after seeing this discussion. Some are downright beautiful pieces art, as well as deadly weapons. Win-win all around. definitely agreed, however, there is something very important to mention. 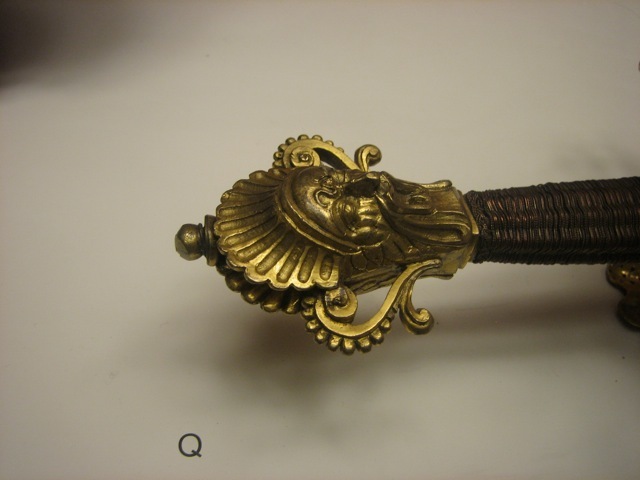 Most of the swords displayed in this thread are ceremonial swords. 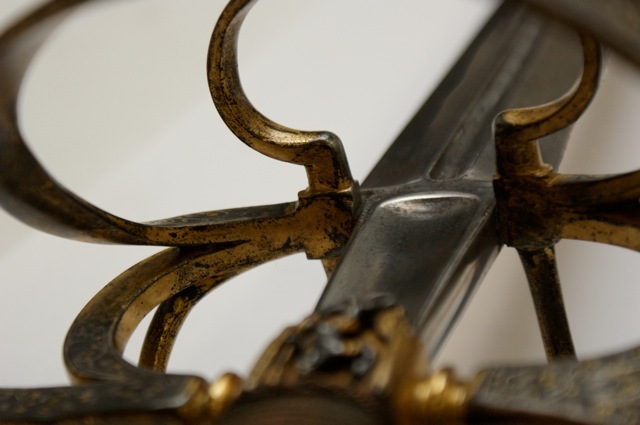 Most swords that would be used in battle had little to no ornaments, especially in the blade (getting an etching that someone took a lot of time to complete scratched/destroyed by another blade is not something most people would want). With that being said (and using the same comparison as the OP), would I bring out an Anduril to a battle... well, it's too heavy (as many manufacturers have mentioned, mainly due to the pommel) and there are simply better performing swords out there, which, though not as "pretty" get the job done better.